Apples: Crabapples will cross-pollinate with apples, and in fact are often grown near apple trees for just that purpose. Pears: Most varieties of pears need to be cross-pollinated with a different variety. Two popular varieties, ‘Seckel’ and ‘Bartlett’, will not pollinate one another. Raspberries: Raspberries are self-fruitful and do not require another variety for good pollination. Blueberries: Even though some blueberries are self-fruitful, the size of the berries and the size of the crop will be improved by planting more than one variety. Cherries: Sweet cherries and sour (pie) cherries are different species, rarely bloom at the same time, and will not cross-pollinate with one another. Unless you purchase a self-fruitful variety (‘Montmorency’, ‘Star Stella’ etc.) each type of cherry will need another pollinator from its own species. Plums: Relatively few varieties of plums are self-fertile (‘Mt. Royal’, ‘Stanley’, etc.) so you’ll need to plant at least two different varieties that can cross-pollinate. There are European plums, Japanese plums, American native plums, and a whole host of hybrids. Consult catalog descriptions to determine whether the varieties you want to grow will pollinate one another. 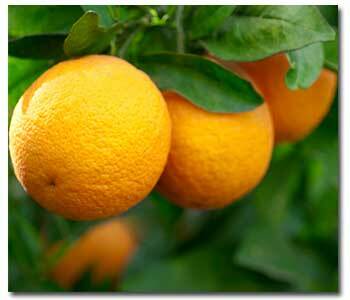 Citrus Fruits: Most citrus fruits are self-pollinating, and some varieties will even set fruit without pollination (such fruits are seedless).